Beginning September 8, 2017, Disney's Hollywood Studios will offer a new Fantasmic! Dessert & VIP Viewing Experience. It all starts at the Fantasmic! theater where you’ll pick up your snacks inspired by the show. Menu items feature a variety of sweet and salty treats for adults or children such as chocolate-dipped strawberries, cheese and crackers and make-your-own “worms and dirt” pudding. Each guest also receives a light-up cup with a specialty drink (alcoholic optional for Guests 21 and older), along with a bottle of water. After you pick up your food and beverage, you’ll be directed to a VIP reserved seating area for Fantasmic! The Fantasmic! Dessert & VIP Viewing Experience costs $39 per adult and $19 per child (ages 3 to 9). 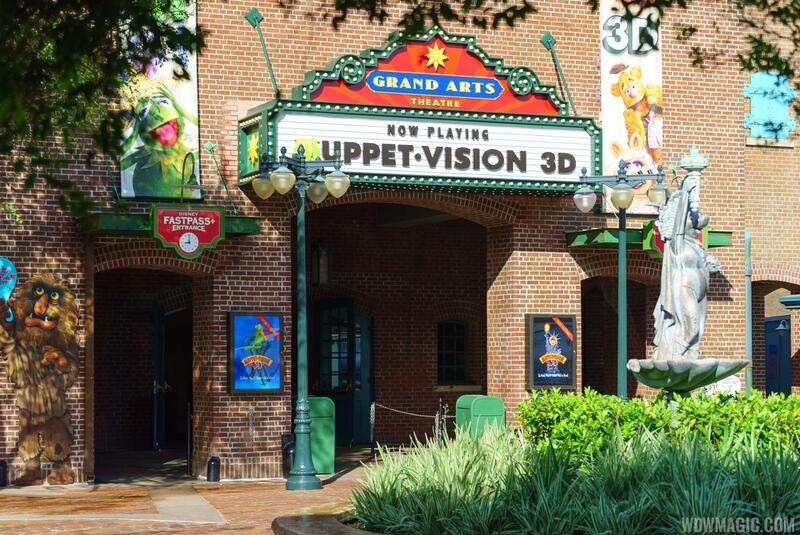 Alongside the new Grand Avenue redevelopment of the old Streets of America, Disney has announced that the Muppets Courtyard will be renamed Grand Park. Muppets Courtyard had only a short existence at Disney's Hollywood Studios, with it being named in March 2016, coinciding with the closure of Streets of America. The current Muppets Courtyard will become Grand Park, an urban square off Grand Avenue surrounded by shops and restaurants like PizzeRizzo and Mama Melrose’s Ristorante Italiano. The Muppets theater was recently renamed “Grand Arts Theatre” along with a brand-new marquee. The closure begins February 28 through to March 2. Disney has just released a new version of My Disney Experience that brings a couple of very useful features to app. First, for Annual Passholders, it is now possible to renew a pass directly from the My Disney Experience app. And for Walt Disney World Resort hotel guests, you can now view room charges and Disney Dining Plan entitlements/usage directly in the app. This should make it easy to keep track of the remaining Dining Plan meals and snacks throughout your trip. For the iOS version, the update also adds compatibility for the upcoming iOS11. You can visit DisneyAnimals.com to learn more about tigers and how you can support them in the wild. Check out the video of the tiger cubs from the Disney Parks Blog. The Patina Restaurant group will be opening a new Italian restaurant concept at Disney Springs later this year - "Maria and Enzo." Located in The Landing alongside the water, and part of the complex of buildings that will also house The Edison, the new restaurant will further develop the storyline of Disney Springs. As the story goes, "Maria and Enzo" will repurpose a former airline terminal complete with an underground rum running tunnel, with The Edison taking over a former electrical power plant. This particular location has been shrouded in mystery for sometime, with a restaurant called "Walts" originally tipped for the spot. Both "The Edison" and "Maria and Enzo" are planned to open in the fall of 2017, with the later yet to be formally announced. 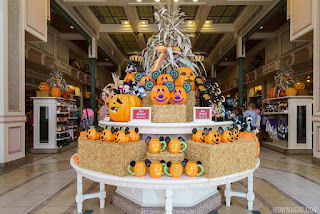 The first Mickey's Not-So-Scary Halloween Party for 2017 will be held this Friday, August 25 at the Magic Kingdom and WDWMagic has provided a look at the entertainment schedule, dining, attractions, and trick or treat locations to help you plan your night. 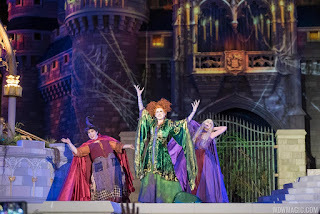 The hugely popular Hocus Pocus Villain Spelltacular show at Cinderella Castle will be performed three times during each night during August and September 2017 at 8:15pm, 10:45pm and 12:00am. For October and November 2017, showtimes are 7:40pm, 8:35pm, 10:45pm and 12am. The Mickey's Boo-To-You Parade is at 9:15pm and 11:15pm with a Zootopia Party Patrol pre-show, and Happy Hallowishes fireworks is at 10:15pm. The Headless Horseman appears 5 minutes before each parade, stepping off in Frontierland. The Monstrous Scream-O-Ween Ball Dance Party on the Tomorrowland Stage runs from 7pm to midnight. And keep an eye out for the Cadaver Dans musical group roaming Frontierland throughout the night. Over at the Haunted Mansion, you might run into Carlotta and Rinotta. Special merchandise and treats are back - with a special edition MagicBand, a special edition Trading Pin, and of course the event T-Shirt. A large variety of special treats are available throughout the park, here is a run-down of what they are and where you can get them. 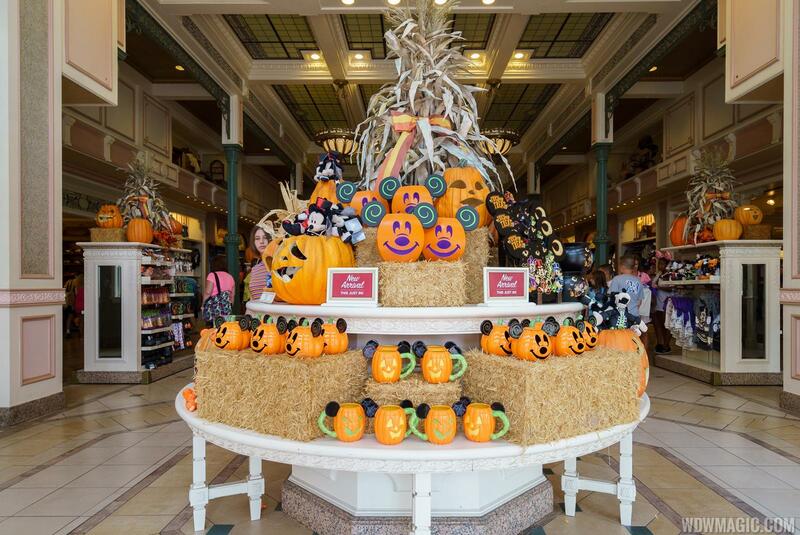 At the Main Street Bakery and Gaston’s Tavern, you will find a Pumpkin Cheesecake Dome with a graham cracker streusel base, orange white chocolate glaze and a white chocolate Mickey. Anastasia and Drizella, Cinderella, Cruella DeVil, Daisy, Donald, Alice and friends, Belle and friends, Ariel and friends, Pooh and friends, Minnie Mouse, Princess Elena, Princess Tiana, Rapunzel, the Seven Dwarfs.